Brett Rogers has had some serious ups and downs in his career. Originally working in a Sam’s Club changing tires he found himself in the spotlight when EliteXC picked him up in 2007. He went on a tear against lesser competition before squaring up against former UFC Heavyweight Champion Andrei Arlovski in 2009. It was there that he made a name for himself, knockout out Arlovski and earning a chance to face the great Fedor Emelianenko. Face Emelianenko he did on CBS where he was publicly beheaded by the Last Emperor in one of Fedor’s most iconic victories on American soil. Things got spotty from there, with the losses stacking up and then a domestic violence charge in 2011 that saw him pushed out of Strikeforce. Today in Russia he was all set to fight Magomed Malikov (maybe a distant relative of the great Fedor Malikhov?) only for the unthinkable to happen. 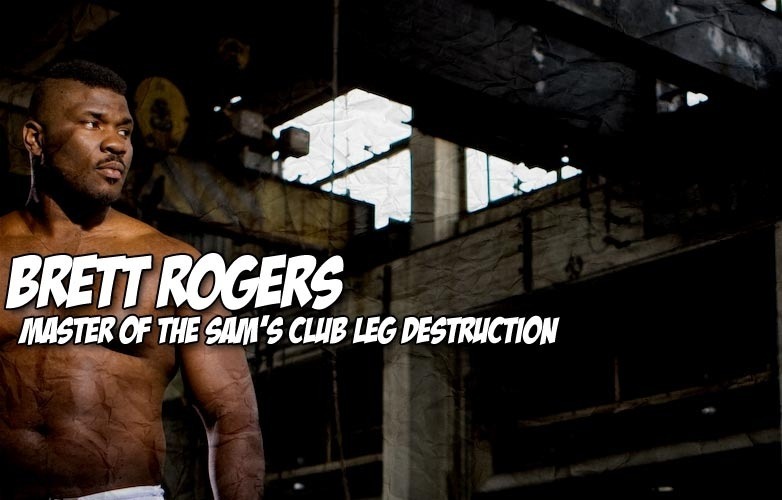 That’s right, we suspect that Brett Rogers has been training with Sensei Ray Longo because Malikov threw a low kick against Rogers only to connect flush with his knee and, well, Knee Destruction(TM). Sure, Brett Rogers didn’t really check the kick, but still, he kind of slightly moved his leg. This could be the evolution of the Knee Destruction, this could be the next level. Brett Rogers is evolution. Props to @GrabakaHitman. Next articleYou really should watch Hunt/Bigfoot again right here. Seriously.